It is about reaching the people we haven’t yet reached, and supporting the ones we have, in the best ways possible. It’s about inclusion, for everyone. We are working on changing the experience of law and justice for people in rural and remote communities by creating an inclusive justice approach to the work we do and the work that our community does for people who have lived experience with poverty. Why Boldness? What does Boldness have to do with including people who live in rural and remote areas within the system we call “justice”? 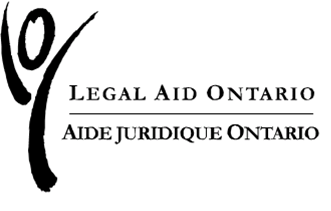 According to the Canadian Forum for Civil Justice, nearly 12 million Canadians will experience at least one legal problem in a three year period. Almost 40% of people with one or more legal problems report having social and/or health related problems. Left unresolved, legal problems have an impact on health and well-being, which will be lasting and far-reaching. The Boldness Project offers a new model – The Boldness CollaboratoryTM – for the pursuit of transformative social innovation. Drawing on lessons gained from the world of successful Research and Development (R&D) labs and innovation enterprises, The Collaboratory model has been developed to both facilitate and accelerate social innovation at the organizational and community level. The Boldness Collaboratory framework is purpose-designed to enable new configurations of experts and civic actors – from across sectors and across silos – to come together to conceive, design and develop initiatives that achieve greater well-being for people and place. It is an incubator for transformative change, grounded in the belief that this can only be accomplished when we connect leading-edge knowledge with leading-edge action. It is for organizations and communities that have the courage and commitment to pursue breakthrough results. The partnership between The Boldness Project and the Rural and Remote Community Legal Clinics is an initiative where we can aim high, be bold, pilot ideas, learn from our successes and our failures. The potential prize, the transformative end goal, is too important, too critical, to use traditional “projects to fix the problems” methods. It is about keeping a roof over the heads of the most vulnerable. About keeping food on the table of mothers, fathers, and children. About doing these things for people who live in isolation, who are distant from the services and supports that our cities offer. It is about reaching the people we haven’t yet reached, and supporting the ones we have, in the best ways possible. It’s about inclusion, for everyone.